The Israeli military has dismissed 43 members from the elite intelligence 8200 unit. In September, they wrote an open letter protesting Israeli covert activities towards Palestinians, particularly the 2014 military operation in Gaza Strip. After an investigation into the incident, the IDF on Monday announced that it would dismiss the authors of the critical letter, Haaretz reported. “There is no place in the IDF for refusal [to serve], and we view the exploitation of military service for the expression of a political stance gravely. In the case at hand, in light of the conduct of the reservists, which is not in keeping with what is expected of them, it has been decided to terminate their reserve service in the unit,” the IDF spokesman’s office said in a statement. The top-secret Unit 8200 is the largest in the Israel Defense Forces and central to signal intelligence, spying on phone calls, text messages, emails and other forms of communication. In the letter, addressed to Prime Minister Benjamin Netanyahu, IDF Chief of Staff Benny Gantz and other top military officials, the reservists said they were ordered to collect far more information than was necessary for protecting Israel. The intel instead was used to harass and harm innocent civilians, they wrote. After the reservists’ firing was announced, the Military Intelligence Directorate said that only a handful of the soldiers and officers involved had actually called up for reserve duty in recent years, Yedioth Ahronoth reported. The unit’s commander, who was not identified, reportedly wrote a highly critical letter to the dismissed activists. The letter, quoted by the Walla! Website, said that in opening the issue to public scrutiny instead of resolving it within the unit, they “made a mistake… and crossed a red line” separating the military service from politics. “In view of the above in your letter, we part from you. You will no longer merit serving the people of Israel through active reserve service in Unit 8200,” the commander’s letter ended. 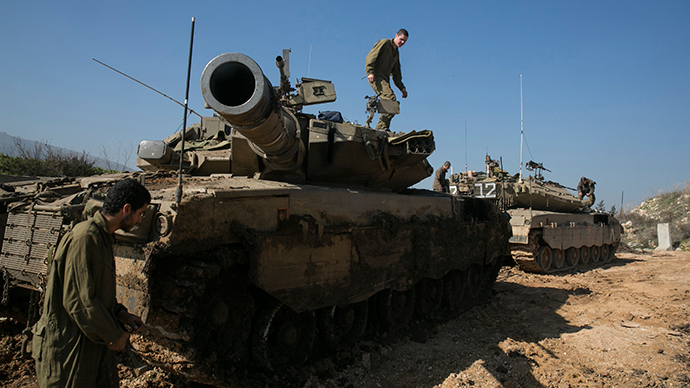 Operation Protective Edge was the latest in a series of military crackdowns by the IDF in the Palestinian territories. The violence escalated in the wake of the kidnapping and murder of three Israeli teenagers. Israel used heavy-handed tactics during the search for the abductees and perpetrators, causing an angry and violent response from the Palestinians. The situation escalated into Hamas militant movement firing barrages of rockets at Israel and IDF conducting airstrikes and a massive ground operation in Gaza. In the conflict 66 IDF soldiers and six Jewish civilians were killed. The Palestinian death toll was estimated at 2,127 by the IDF, with over half of them civilians, while other sources state slightly higher numbers.